In my holiday special, we went back to my roots to visit the town where I was born and the courtyard where I stayed with my Grandmother Rosa during the summer months and many weekends. We also visited the Pula market where I used to go with her with her jewels from the garden and exchange them for some of the food products that we did not source on her property. 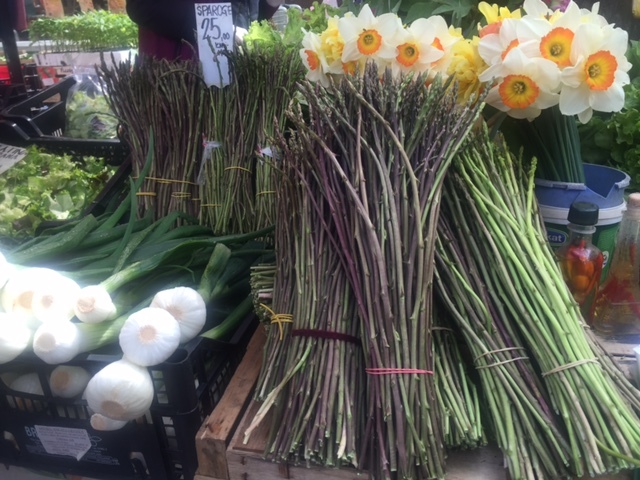 This morning, I found these beautiful wild asparagus at that same market, along with some anchovies that were brought in by the fishermen this morning. This is what my family table in Pula was all about – celebrating the catch and harvest of the day. Food gives us our nourishment and excitement in our present day but also brings us back in time. And that is what I love about it!